Halloween is hands-down my favorite holiday. It lacks the stress of other annual celebrations. There’s no turkey to cook, no presents to wrap, no family arguments igniting at the supper table (resulting in what my son likes to describe as “dinner and a show”). 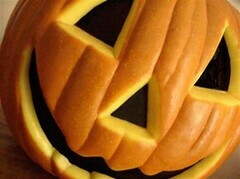 Halloween is a guilt-free holiday devoted to fun. Besides, it’s an excuse to indulge my fondness for miniature Milky Ways. The supernatural admittedly holds a certain fascination, particularly around this time of year. In keeping with the season, my local newspaper, the Boston Globe, ran an article the other day on “psychologically impacted houses”—houses which have been the scene of violent crimes or the site of purported paranormal activity. Unsurprisingly, a house’s unsavory past or reputation for spookiness reduces significantly the marketability of a home, which means that psychologically impacted houses take 50% longer to sell and sell at a lower price than ordinary houses. One question that often arises is what duty does a seller or landlord have to disclose to a prospective buyer or tenant information regarding a home’s dark past? As it turns out, maybe none, depending upon what state you happen to live in. Approximately half of all states in the U.S. have statutes addressing the circumstances under which a house is said to be “psychologically impacted”. In most of those states brokers and sellers alike are protected from liability for failure to disclose the psychological impact. Although the law does not impose an affirmative duty on sellers and brokers to disclose information of this nature to buyers up front, if a prospective buyer asks if a house is haunted, the seller or broker is required to tell. There is at least one case on the books that deals with a poltergeist haunting and a buyer’s efforts to rescind the deal. In Stambovsky v. Ackley, 572 N.Y.S.2d 672 (1991), a case from New York, a buyer sought to rescind the contract of sale and to recover his down payment following his discovery that the house he intended to buy was the site of poltergeist disturbances. Although I would have assumed that the buyer didn’t have the ghost of a chance, the court sided with the buyer, holding that “as a matter of law, the house is haunted” and allowed rescission of the contract of sale and recovery by the buyer of his down payment. Since we’re on the subject of lawsuits involving the supernatural, a prisoner in Romania has purportedly sued God (link good at time of posting) for failing to save him from the Devil’s influence and for breaching the contract the prisoner’s baptism constituted. Court officials have apparently said that they would have to dismiss the action because of service of process issues. Civil rights action against Satan and his servants who allegedly placed deliberate obstacles in plaintiff’s path and caused his downfall, wherein plaintiff prayed for leave to proceed in forma pauperis. The District Court, Weber, J., held that plaintiff would not be granted leave to proceed in forma pauperis who in view of questions of personal jurisdiction over defendant, propriety of class action, and plaintiff’s failure to include instructions for directions as to service of process. Prayer denied.